Post-operative infections are relatively common after posterior spine surgery, and there are several observations reflecting different infection complications related to various metals implanted. Here, we selected an array of different bacterial species that are often found in infections associated with orthopaedic implants and tested for inhibition by hydrogen peroxide-treated titanium (Ti-peroxy). To study the possibility of using Ti-peroxy as an antimicrobial prophylaxis, we developed a protocol for standardized susceptibility testing of bacteria. Importantly, we found that the resulting Ti-peroxy was highly antimicrobial against all aerobic species tested, among others, Staphylococcus aureus and Pseudomonas aeruginosa. Proteus mirabilis was slightly more resistant than, for example, Klebsiella pneumoniae and enterococci. In contrast, anaerobic bacteria Cutibacterium acnes and Parvimonas micra were equally susceptible compared to staphylococci. Our findings suggest that the Ti-peroxy is a promising perioperative antimicrobial strategy that may be highly effective for prevention of post-operative infections. We therefore suggest application of hydrogen peroxide to implants prior to implantation. The online version of this article ( https://doi.org/10.1007/s00586-018-5619-8) contains supplementary material, which is available to authorized users. Early and late deep infection after posterior spine surgery with instrumentation is a relatively common complication, often necessitating implant removal. Factors influencing implant-related infections are multiple: the localization and extension of wound, length of surgery time, blood loss, nutritional status of patient, use of perioperative antibiotics, use of pulse lavage and quality of the operative room, e.g. ventilation conditions . The rate of post-operative surgical site infections after spine surgery varies based on patient comorbidities from 0.7 to 4.3% among patients without risk factors to 2.0 to 10% in patients with obesity, diabetes and neuromuscular diseases . The rate of late implant-associated deep infection after posterior spinal instrumentation is, however, significantly reduced when using a metal work made from titanium alloy compared with stainless steel [3, 4, 5]. In a previous study with a total of 1390 patients, the infection rate was significantly higher in patients that received stainless-steel implants . Infection rate with titanium implants was 3.53% as compared to 11.56% with stainless-steel implants (p < 0.0001). In yet another investigation (n = 540), the infection rate was 1.33% compared to 4.56% for titanium and stainless-steel implants (p < 0.0001), respectively . The reason for this is not fully understood. More than 25 years ago, Tengvall et al. reported on the formation of relatively stable titanium compounds formed at Ti-implant surfaces as one explanation of the low infection rate after implantation of dental Ti-screws [8, 9]. Analytical data indicated that those compounds consisted of aqueous Ti-peroxide . The formation of titanium peroxy compounds is due to a chemical reaction of Ti(III) and/or Ti(IV) ions with H2O2 being released by inflammatory cells. The tissue concentration may be up to 10 µM during inflammatory states . Ti-peroxide is subsequently degraded to TiO2, H2O2, O2, and H2O. The time frame of degradation in vitro is from hours to days . This process probably results in inhibition of early growth and survival of bacteria in the close vicinity of implants with this coating. The main aim of the present study was to determine the viability of bacteria in the presence of metal granules made from commercial pure titanium (Ti) and “orthopaedic” stainless steel with or without previous treatment with hydroxyperoxide. We hypothesized that hydrogen peroxide-treated Ti granules, hereafter designated Ti-peroxy, would reduce bacterial viability. A series of different microbes, which are well known and often recognized in cultures of specimens obtained at reoperations due to deep late infections after posterior spinal instrumentation [1, 2], were included in the study and examined for growth in the presence of Ti-peroxy. Finally, scanning electron microscopy was carried out to visualize the gross appearance of Ti-peroxy-dependent inhibitory activity. The different bacterial species examined in the present study are outlined in Table 1. A collection of Cutibacterium acnes isolated from patients with spine and knee joint infections after surgery was also included in our study . This chosen set of both Gram-negative and Gram–positive bacteria was grown according to standard microbiological culture conditions. Briefly, Staphylococcus aureus, S. epidermidis, Corynebacterium renale, C. pilosum, Enterococcus faecalis, Bacillus badius, B. cereus, Escherichia coli, Pseudomonas aeruginosa, Enterobacter cloacae, Proteus mirabilis and, finally, Klebsiella pneumoniae were grown on chocolate agar plates (Oxoid, Waltham, MA). In contrast, the anaerobic species Cutibacterium acnes (previously Propionibacterium acnes) and Parvimonas micra (previously Peptostreptococcus micros) were grown on FAA plates (LabM, Heywood, UK). Aerobic bacteria were grown at 37 °C in 5% CO2, whereas the anaerobes were incubated in anaerobic jars at 37 °C. Sterilized granules (2 ml) consisting of commercially available titanium (size 0.5–1.0 mm) (Koch-Light, Haverhill, UK), chrome 50 Ln (size 0.5–1.0 mm) or chrome/nickel 50 (size 0.5–1.0 mm) (kindly provided by Pometon, Maeme [Venice], Italy) were included in the study. The chrome 50 Ln and chrome/nickel 50 granules are comparable with stainless steel in orthopaedic implants. Granules were incubated with 5 ml 30% H2O2 for 15 min at room temperature. Thereafter, granules were washed with 50 ml 0.9% NaCl and dispensed into deep-bottom 96-well plates (Whatman, Maidstone, UK). Granules (40 µl wet volume) were added to each well corresponding to approximately 86 µg Ti, 188 µg Cr 50 Ln or 270 µg Cr/Ni 50. To prepare bacteria, overnight cultures of E. coli and P. aeruginosa were resuspended in Luria–Bertani (LB) broth (Becton–Dickinson, Franklin Lakes, NJ), whereas the remaining species were resuspended in Brain Heart Infusion (BHI) broth (Becton–Dickinson, Stockholm, Sweden). P. acnes and P. micra were diluted in BHI + 10% foetal bovine serum (FBS) (Gibco Life Technologies, Warrington, UK) and FA broth (LabM, Heywood, UK), respectively. After resuspension, optical density (OD)600 was set to 0.1 and 0.5 for aerobes and the anaerobes including Corynebacterium spp., respectively. Thereafter, a tenfold dilution series was made, and 800 µl of the bacterial suspensions was added to plates containing various granules. Microtiter plates were sealed with adhesive gas-permeable seals (Thermo Scientific, Waltham, MA) and incubated at 37 °C, 5% CO2 shaking at 200 rpm. Anaerobes were incubated in anaerobic jars, 37 °C, shaking at 150 rpm. After 24 h incubation or 7 d for anaerobes, 100 µl/well was transferred to microtiter plates to measure absorbance at OD600 nm. In separate experiments, the kinetics of antibacterial activity of hydrogen peroxide-treated Ti granules was determined. Granules were preincubated with H2O2 and thereafter stored in a closed container before addition to bacterial cultures as described above. For scanning electron microscopy, specimens were fixed overnight at room temperature with 2.5% glutaraldehyde in cacodylate buffer, washed with cacodylate buffer and dehydrated with an ascending ethanol series from 50% (v/v) to absolute ethanol. The specimens were dried in a critical point dryer with carbon dioxide and absolute ethanol as an intermediate solvent. Samples were mounted on aluminium holders, sputtered with 20 nm palladium/gold and examined in a Philips/FEI XL 30 FESEM scanning electron microscope using an Everhart–Thornley secondary electron detector. Image processing was carried out with the Scandium software (Emsis, Münster, Germany) for simple image acquiring and auto-storage into the Scandium database. All electron microscopic work was performed at the Core Facility for Integrated Microscopy, Panum Institute (University of Copenhagen, Denmark). We chose a large panel of different bacterial species that are commonly found in patients who have undergone spine surgery complicated by deep infection (Table 1) . Two isolates of each species except for Cutibacterium acnes (n = 6) were included in the study. Titanium granules were treated with hydrogen peroxide for 15 min followed by washing with saline resulting in a Ti-peroxide. To analyse the inhibitory effect on growth, bacteria were incubated with the Ti-peroxide, and, in addition, hydrogen peroxide-treated Cr 50 Ln or Cr/Ni was included as controls. The effect of untreated Ti (without previous exposure of hydrogen peroxide) was also analysed. All granules were supplemented to microtiter plates followed by addition of bacteria in solution. Hydrogen peroxide-treated Ti granules, i.e. the Ti-peroxy inhibited a large number of bacteria in our experimental set-up (Table 2). Bacterial growth was significantly inhibited in the interval 6 × 104 to 108 CFU/ml upon exposure to the Ti-peroxy for 24 h (aerobes) or 7 days (anaerobes). In contrast, Cr 50 Ln and Cr/Ni that were preincubated with H2O2 did not interfere with bacterial growth, and with these apparently inert granules, no inhibition was observed as compared to culture media without any granules added. In parallel, untreated Ti granules did not interfere with bacterial growth (results not shown). Proteus mirabilis was the most resistant species, and here more than 1000-fold fewer bacteria (6 × 104 CFU/ml) were inhibited compared to, for example, enterococci (108 CFU/ml). Regarding other Gram-negative species, we did not find any large differences in Ti-peroxy-dependent growth inhibition. In parallel, anaerobes including C. acnes and Parvimonas micra were both efficiently inhibited by the Ti-peroxy, but not by Cr 50 Ln, Cr/Ni or untreated Ti. A series of different clinical C. acnes isolated from orthopaedic patients belonging to different clonal complexes (CC)  was also tested, but no difference was observed in Ti-peroxy-dependent growth inhibition as compared to C. acnes isolates derived from the skin. To determine the stability of the Ti-peroxy, titanium was pre-treated with hydrogen peroxide according to the standard protocol, and thereafter, the resulting Ti-peroxy was added to bacterial cultures after different time points. The antibacterial activity of the Ti-peroxy persisted for at least 24 h, but at later time points, the activity decreased, and when the Ti-peroxy had been stored for more than 72 h at room temperature, no inhibitory effect was observed (data not shown). However, when the Ti-peroxy was stored at − 18 °C, the antibacterial activity was preserved for at least 90 days. Taken together, although differences in the inhibitory effect by the Ti-peroxy exist between various bacterial species tested in our hands, we conclude that the Ti-peroxy has a powerful effect upon most bacterial species found in post-operative infections after spine surgery. To further shed light upon the inhibitory activity of Ti-peroxy on bacterial growth, P. aeruginosa and methicillin-susceptible S. aureus (MSSA) representing Gram-negative and Gram-positive species, respectively, were subjected to analysis of the ultrastructure by scanning electron microscopy. Interestingly, bacteria, as exemplified by P. aeruginosa, were relatively smoothly attached to the surface of Ti (Fig. 1b, c). After 30 min incubation, bacteria started to lyse (Fig. 1d, g), and after further 2.5 h, the majority of both P. aeruginosa and S. aureus were destroyed and severely damaged (Fig. 1e, h, respectively). The Ti-peroxide was thus very efficient in bacterial killing. In this study, we examined Ti granules preincubated with H2O2 forming a Ti-peroxy that was added to both catalase-positive and -negative bacteria of common species that cause deep infections around spinal implants. Catalase is a well-known virulence factor and defence mechanism aimed at neutralizing the oxidative burst consisting of H202. All bacteria were hence inhibited albeit with various efficiencies. Sterile but non-H2O2-preincubated Ti granules and also “orthopaedic” stainless-steel granules with or without H2O2 preincubation were included as controls. Importantly, an inhibition and decreased viability of bacteria were only observed in experiments with H2O2-preincubated Ti granules (Table 2). The antibacterial effect of UV treatment of TiO2 is well known . In parallel, RF oxygen plasma treatment of Ti results in an antibacterial effect . The mechanism underlying these bactericidal effects is probably generation and degradation of Ti-peroxy compounds into H2O2 and oxygen radicals resulting in destruction of bacterial membranes via oxidative processes . The kinetics of these chemical reactions is difficult to determine, and probably the effect of these radical–chemical reactions is present for only a day or two. This presumption is supported by previous degradation experiments with aged and non-aged Ti-peroxy compounds . The Ti-peroxide FT-Raman signal remained detectable in aqueous 3-month-old and dried compounds and in freeze-dried fresh compounds for 3 years. The inhibitory effects on different bacterial species upon incubation with fresh H2O2-treated Ti granules in the present study are therefore reasonable. The relatively short period of time with antimicrobial activity may nevertheless be enough to inhibit any hibernating single-cell bacteria before a protective protein coating and/or biofilm is formed. Furthermore, it can be postulated that in the case of deposition of bacteria in the vicinity of implants due to bacteraemia, the biological reaction with recruited inflammatory cells makes a similar formation of Ti-peroxide compound(s) on the surface of Ti implants, possibly enhancing or prolonging the antibacterial effect that would be highly beneficial for the patient. One interesting observation is that the Ti-peroxy was also effective on catalase-positive species, indicating that the membrane destruction mechanisms are complex and cannot easily be eradicated by catalase. However, since E. faecalis is catalase negative, it was also 10–100-fold more susceptible as compared to the other bacterial species examined (Table 2). When we have encountered skin perforation due to progressive deformity or trauma in a clinical setting, we have been able to prevent infections by partial implant removal and local H2O2 treatment in conjunction with parental treatment with antibiotics over a short period of time. This has been successful with Ti-alloy in relation to stainless steel or CrCo implants (Ohlin et al. unpublished data 2007–2014). Based on these observations, we now routinely expose our titanium implants to H2O2 prior to implantation. 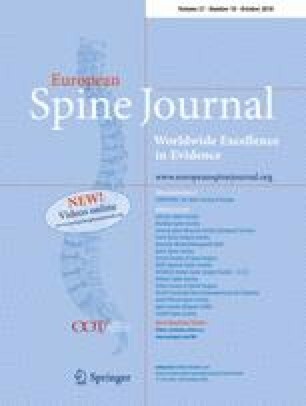 Studies published aiming at predicting risks of unfavourable results in spine surgery, all lack information of which alloy the metal work used was made from and therefore they are not informative in this regard [17, 18]. On the contrary, there is one clinical series published comprising a limited number of patients in which revision due to late infected stainless steel to a titanium-based implants in one surgery was used, with full success in 10/10 cases, supporting our hypothesis in a clinical setting . In conclusion, despite relatively large differences existing between the various species tested in this study, we postulate that the Ti-peroxy has a very efficient effect upon most bacterial species irrespective of origin. It should also be emphasized that most likely only single bacteria occur in wounds further increasing the likelihood of preventive antibacterial measures by the Ti-peroxy. This work was supported by grants from the Anna and Edwin Berger Foundation, Medical Research Council (Grant Number K2015-57X-03163-43-4, www.vr.se) and Skåne County Council’s Research and Development Foundation. We thank Mrs. Allessandro Breda (Pomerton, Maerne [Venice], Italy) for providing us with control granules.